Clarium Capital is an American hedge fund firm co-owned by Peter Thiel and established in 2002. The main objective of Clarium Capital was to pursue a global macro initiative. Before founding Clarium, Peter Thiel co-founded PayPal and was also a key investor in the supplementation of Facebook in the social networking giants early days. Six years after Clarium Capital was formed, Thiel was estimated to have accumulated over $8 billion in assets under the hedge fund. However, in 2010, after battling recession, Clarium Capital lost around 90% of its key investors. This caused the buzz that accumulated around the hedge fund, for which plenty investors had high hopes. But investors responded with high scrutiny of the funds somewhat controversial maxims of the investment companys manifested failure and the reasons that led to its downfall. However, there are analysts that argue over whether the hedge fund was a failure or not. Looking at the situation from a different perspective, discounting the notions and principles that you might find in a book, you might form a different opinion about what happened. There is no doubt that when recession hit the US economy, a majority of assets that were under Thiels hedge fund dropped quickly and significantly. The total drop of assets was estimated from $8 billion to $1 billion. There is no question that this marked as an overwhelming crisis for the firm. Looking at the history of the company from 2002 to 2010, with having a slight idea of what capital dynamics are, you will disagree with the fact that Clariums capital management and record in aggregate was poor. Interestingly, quite a lot of many analysts argue that Peter Thiel saw the forthcoming economic calamity and raised the capital to a massive $8 billion. However, it is also true that the internet has a lot of inaccurate information about Thiels downfall. When recession hit the US economy, during the massive credit crunch in 2008, Clarium Capital had to lower its capital considerably, primarily because of the fact it was losing key investors. Naturally, during a credit crunch hedge, fund investors tend to withdraw their capital. But to say that investors were pulling withdrawing out money because the firm was incurring tremendous losses is not right. Peter Thiels company did not lose $7 billion worth of assets; rather he lost due to investor withdrawal. This is something that every hedge fund firm was experiencing at the time. Although, you can say that the companys annual revenue was subject to quite a lot of market volatility, but if you look at the overall record, it was indeed making money. Mentioned below are the return figures of the company till 2011. As you can see, despite the fact Clarium suffered losses in the ending three years, the hedge fund did manage to maintain an aggregate return rate of 11.9% (8.25% an year) from the day it began till the day it ended. The tragedy for Peter Thiels Clarium Capital was the fact there was a significant pump of money from the years 2007 to 2008, but at the same time there was also massive exiting of cash experienced from 2009 to 2010. This couldnt have happened at a more inconvenient time, thus causing a considerable unwind. This was where Clarium made a macroeconomic analysis that it would indeed recover gradually, but might bleed even more quickly, which proved to be the case. Investor withdrawal forced Clarium Capital to reduce its assets managed under the hedge fund. However, shortly even after the company closed down, he did not lose hope and envisioned another fund that would generate profits. 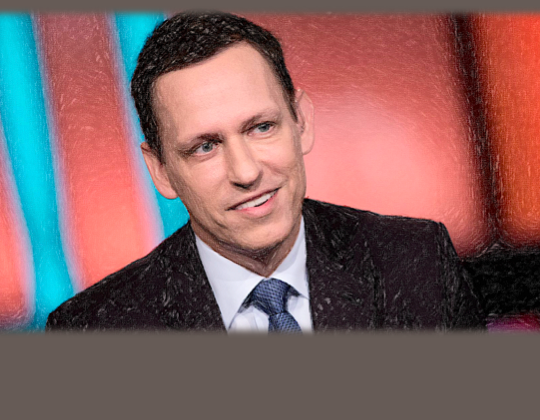 As such, Thiel embarked to establishing a new fund with partners Jim O Neill and Ajay Royan. Together, they formed another investment company by the name of Mithril that has a 12 year capital dead lock. You did not factor in, on how much capital the gains were. and how much capital the losses were. When there were losing times, that is when the most amount of capital was invested. So you are wrong. Your numbers are both accurate and misleading. If you factor in the Clarium fee structure of 2/.25, that is to say their fund cost of 2% of all invested assets per year and 25% of any gains, then $1 invested in the fund at the beginning of 2002 would be worth $1.50 at the end of 2010. This assumes a single compound interest calculation at the end of each year and a fund cost calculation applied directly after. You can play with the number of times per year interest and cost is calculated and get slightly different answers with more granular data, but more or less this results in an effective interest rate of 4.6%, significantly less than the 11.9% you quote. You could argue that the fee structure is common to Hedge funds, and you would be right, but the aggregate return you quote is still misleading from an investor perspective. The fact is that the fee structure disguises how much of the gains the fund was consuming, which is actually closer to 36% than 25%. The key to understanding this is to realize that the fund takes 25% of the earnings in the profitable years, sharply reducing investor future principal gains, but shares none of the losses in the losing years. In effect, the fund “locks in” its profits (market and Alpha) during good years but leaves the investor to suffer all of the consequences of bad years. To illustrate, say I proposed a game with a six sided die. You roll the die and if you roll a “1” you lose $3, lose $2 for a “2”, lose $1 for a “3”, gain $1 for a “4”, gain $2 for a “5”, and gain $3 for a “6”. With a fair die it’s easy to see this is a zero sum game; over the long run you will break even. Now say I approach you and say that I have a loaded die that doubles the chances of getting a “4”, “5”, or “6”. So roughly speaking there is an 11% chance each of rolling a “1” thru “3” and a 22% chance each of rolling a “4” thru “6”. Your expected gains in this game with the loaded die are $0.66 (-3*0.11+-2*0.11+-1*0.11+0.22+0.22*2+0.22*3). But now let’s say that my “fee” for using my loaded die is 25% of any winnings. The expected gain with those fees is $0.33 (-3*0.11+-2*0.11+-1*0.11+0.22*0.75+0.22*2*0.75+0.22*3*0.75), 50% of the total theoretical gain of the loaded die, not the 75% that might seem more intuitive. In effect, the fee on gains amplifies the effect of losses and can dramatically alter observed performance as compared to aggregate returns. If we extend the analogy somewhat by saying that you already have a loaded die that skews towards “4” thru “6”, but not as much, say a 13.75% chance each of “1” thru “3” and a 19.25% chance each of “4” thru “6”, the expected gains using your own die would be equivalent to using my die with fees, even though my die has almost 17% better overall odds. While the 4.6% return isn’t disastrous, the general market had an annualized return of 2.96% and an “average” return of 5.34% during the same time period (source: moneychimp.com/features/market_cagr.htm), it certainly seems relevant that by 2011 Clarium had beat the market by only 1.64%. In this light, investors leaving Clarium make much more sense; they were not fleeing a highly profitable investment vehicle but rather walking away from a fund that was seeing Alpha quickly erode to a point where similar returns were achievable with lower cost products.